I am a Naturopathic Nutrition Advisor, based in the Midlands, UK. I work with individuals and families supporting diet changes and developing food skills, as well delivering bespoke employee and student nutrition programmes. As a mum of 2 young children and a Nutrition Advisor I have no time for fad diets or foodie trends. Low carb diets are about cutting out the harmful, processed, refined, sugar laden foods and replacing them with nutritious foods that fuel our bodies in the right way. I have had the honour of presenting at the Public Health Collaboration Conference, as keynote speaker at the Matthew’s Friends Ketogenic Clinic and to the Midlands NHS Neurological Grand Round on my experience of applying Ketogenic and low carb diets to manage health challenges in my own family. I am Co-Founder of non-profit leafie.org providing resources around improving everyday foods. Our new Sugar Free Family online course, supported by fantastic experts and health professionals, has already attracted thousands of registrations and course completions. We launch our Health Weight Plan this spring. 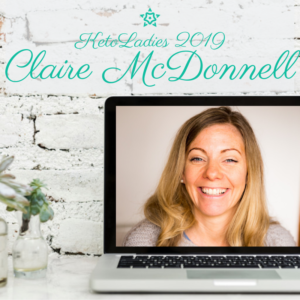 Check out Claire’s interview on the Metabolic Health Summit here!